Learn to protect and project your voice to ensure your message gets across while avoiding permanent damage. Learn to protect and project your voice to ensure your message gets across while avoiding permanent damage. Learn techniques for powering the voice on the breath, improving clarity and range. Face to Face – 3 hour seminar with activities and checks on learning. 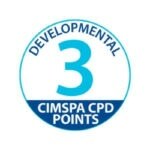 This CPD is aimed at Swim England Level 2 swimming teachers and coaches.